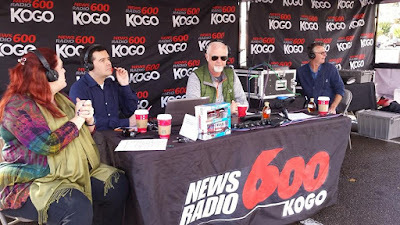 This Saturday KOGO AM600 will be holding their annual East County Toy and Food Drive in the Target parking lot on Broadway. Join Ted Garcia, LaDona Harvey and Cliff Albert along with the Salvation Army, Stoney's Kids and dozens of volunteers for the annual East County Toy and Food Drive on Saturday December 12th from 9 a.m. to Noon at the Target store parking lot on Broadway at Highway 67 in El Cajon. You can drop off your donation of new unwrapped toys or cash during our live broadcast that day which includes a Fire Truck Parade and an appearance by Santa Claus. You also can drop off toys at any of the Heartland Fire stations in the El Cajon area. We are trying to collect enough new unwrapped toys for 3-4-thousand kids this year. Please help us make their Christmas a happier one.